Why Won’t the EPA Protect the Public from This Cancer-Causing Product? Are you interested in stopping FDA's efforts to destroy natural medicines? above to search for an exact phrase. Lawsuits alleging glyphosate caused cancer are allowed to move forward. Action Alert! A California jury recently found Monsanto liable for a groundskeeper’s cancer, ordering the company to pay out $289 million. It was the first lawsuit that went to trial alleging that Roundup and other glyphosate-based weed-killers cause cancer. Other research shows that cancer may only be the tip of the iceberg in describing the toll this chemical is taking on our health. There have been hundreds of lawsuits filed against Monsanto alleging that glyphosate, the active ingredient in the Roundup herbicide, causes cancer, and now finally the courts are taking the claims seriously as a federal judge recently ruled that these cases can proceed to trial. The World Health Organization has labeled glyphosate a “probable carcinogen” and yet the US Environmental Protection Agency (EPA) says it isn’t—although we shouldn’t be surprised, given the crony ties that have been exposed between top EPA officials and the biotech industry. The EPA can’t be counted on to protect our health. Cancer isn’t the only danger. Recall our past coverage of the work of Dr. Stephanie Seneff, an MIT researcher who showed a remarkably consistent correlation between the use of Roundup on crops (and the creation of Roundup-ready GMO crop seeds) with rising rates of autism. Children with autism have excessive glyphosate in their systems. Dr. Seneff noted the ubiquity of glyphosate’s use—and that the side effects of autism closely mimic those of glyphosate toxicity. Because it’s used on corn and soy, all soft drinks and candies sweetened with corn syrup and all chips and cereals that contain soy fillers have small amounts of glyphosate in them, as do our beef and poultry since cattle and chicken are fed GMO corn or soy. Wheat is often sprayed with Roundup just prior to being harvested, which means that all non-organic bread and wheat products would also be sources of glyphosate toxicity. The amount of glyphosate in each product may not be large, but the cumulative effect (especially with as much processed food as Americans eat) could be devastating for our country’s health. 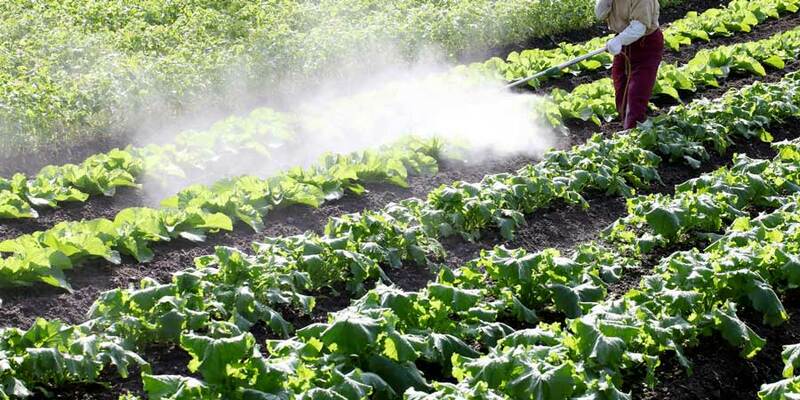 A recent study shows that pregnant women living near farms where pesticides are applied have a 60% increased risk of children having an autism spectrum disorder. Glyphosate also inhibits numerous physiological processes (such as photosynthesis) in fruits like blueberries, grapes and apples—in other words, it can be toxic to plants in more ways than are intended for an herbicide. Glyphosate is an endocrine disruptor, i.e., a chemical that can interfere with our hormone system’s proper functioning. Apart from numerous animal and in vitro studies demonstrating the endocrine disrupting effects of glyphosate, other peer-reviewed research shows that glyphosate disrupts male reproductive functions—decreasing testosterone by as much as 35%. Let’s not forget that research has found that pesticide adjuvants can be up to 1,000 times more toxic to human cells than the active ingredient in weed-killers. It seems beyond doubt that cronyism, rather than any honest evaluation of the scientific data, is keeping glyphosate on the market. It’s time for that to change. Action Alert! Tell the EPA to ban glyphosate. Please send your message immediately. Copyright © 2018 Alliance for Natural Health- USA. Permission granted to forward, copy, or reprint with date and attribution (including link to original content) to https://anh-usa.org. Except where otherwise noted, content on this site is licensed under a Creative Commons Attribution-NoDerivs 3.0 license. Any medical information contained in this site is for informational use only. It is not for use in self-diagnosis or treatment. Please consult with a qualified physician concerning the prudence of and before undertaking any change in diet, treatment for disease, use of any drug, or cessation in use of any prescribed drug.